Will not go cloudy like some clear plastic glasses can do over time. 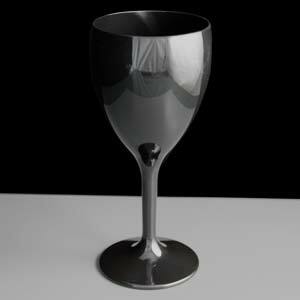 A black polycarbonate (virtually unbreakable) wine glass ideal for swimming pools and outside drinking with a capacity of 312ml (11fl.oz) to the rim. A perfect alternative to glass. 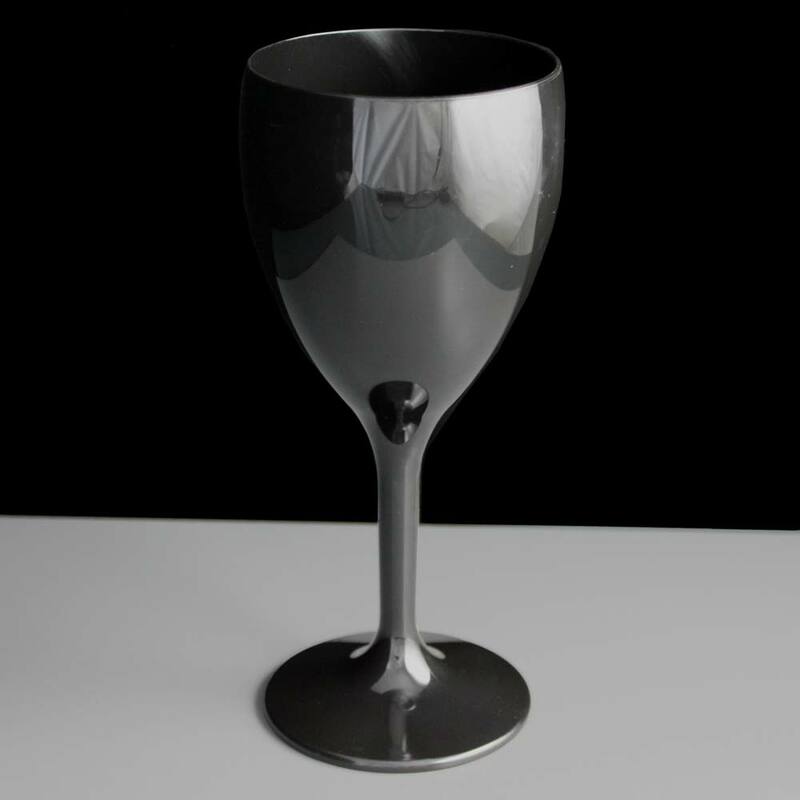 Use for functions such as weddings, parties, festivals as well as in licenced bars, clubs and restaurants.